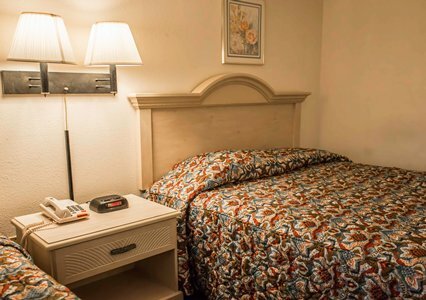 Located off Interstate 75, the Rodeway Inn hotel offers convenient, affordable accommodations near several outdoor destinations. Guest rooms include cable television and room service. Refrigerators and microwaves are available for a small fee. Pets are welcome for a nominal fee. The perfect location and convenient access to area attractions makes the Rodeway Inn hotel a great place for business and leisure travelers in the Lake City area.